What is it about Dodge Vipers that make them crash so often and fail so epically? Hmmm… perhaps these American made Dodge Vipers do not actually crash and fail at a higher rate than do similar sports cars, but there is no doubt that Dodge Vipers fail and crash enough that Dodge Viper crash and fail compilations abound online and this video collection of two-seater Dodge Vipers crashing and failing is awesome! 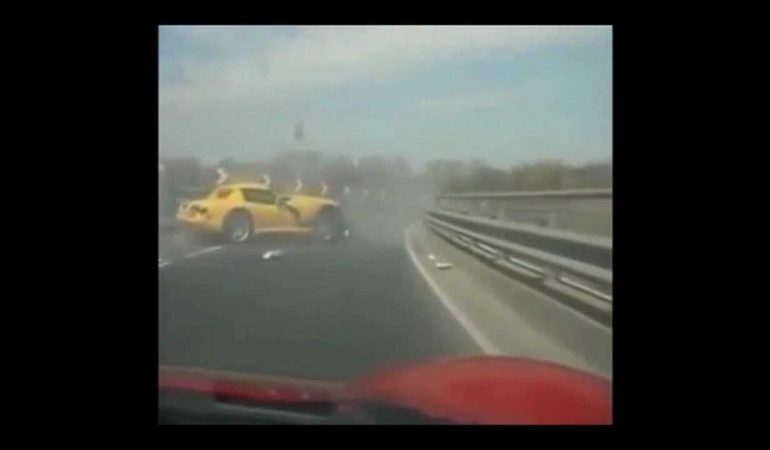 Which Dodge Viper fail or crash is your fav fav? I am kind of partial to the racing Dodge Viper that crashes off the track at the 4:25 mark due to its exploding air bags and violent bounces.